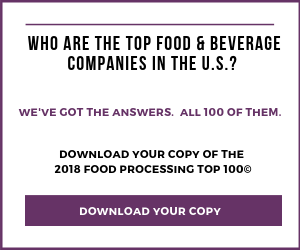 The 2007 top 100 food and beverage processing companies in the U.S. and Canada are profiled in this annual feature. Find company contact information, major brands, key executives and main product areas. To read the main article on the Top 100 processors and how our list was compiled, see "The Top 100: Kraft returns to the top." Access processor profiles 26-50, or processor profiles 51-100. Executives: Chairman: John Tyson; Pres./CEO: Richard Bond; SVP-Poultry and Prepared Foods: Bill Lovette; SVP-Fresh Meats and Margin Optimization: James Lochner; Group VP and International Pres. : Rick Greubel; SVP and Chief Human Resources Officer: Ken Kimbro; EVP and CFO: Wade Miquelon; Group VP-Logistics and Operations Services: Donnie Smith; SVP-Corporate Research and Development: Hal Carper. Subsidiaries, Divisions: Cobb-Vantress Inc., Tyson Fresh Meats Inc., Tyson Prepared Foods Inc., Tyson Deli Inc. and Tyson Refrigerated Processed Meats Inc.
Subsidiaries, Divisions: (USA) Nestlé Nutrition, Nestlé Purina PetCare Co., Nestlé Waters North America, Dreyer's Grand Ice Cream Inc.
Subsidiaries, Divisions: Anheuser-Busch Inc., Anheuser-Busch International, Busch Agricultural Resources Inc., Anheuser-Busch Packaging Group Inc., Busch Entertainment Corp.
11. JBS Swift and Co.
Subsidiaries/Divisions: Kashi, Keebler, Morningstar Farms, Worthington Foods, Inc.
Subsidiaries, Divisions: Africa Group, Latin America Group, Greater Europe Group, Middle and Far East Group, North America Group, The Minute Maid Co.
17. Dole Food Co. Inc.
21. Maple Leaf Foods Inc.
Subsidiaries, Divisions: Mauna Loa Macadamia Nut Corp.
25. Chiquita Brands International Inc.